Today, I am spreading love. 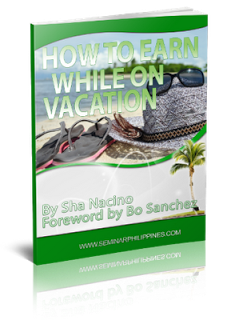 My cousin Sharon Nacino, the author of “Think Rich Yuppies“, published another book (it’s an eBook this time) which you can download for free. It is a very light read yet truly empowering. My cousin and I share the same love for words. She was also my classmate and playmate when we were in grade school. I enjoyed her eBook– the ideas presented are easy to apply and they are truly practical. Get inspired too! You may download this entertaining and highly informative eBook by going to this page: http://seminarphilippines.com/free-ebook/.